Let’s turn up the pressure on Coke to turn down their Olympic tax break. Can you sign the petition and click LIKE and SHARE? 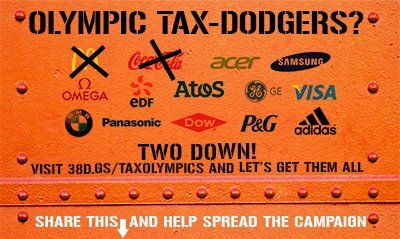 This entry was posted on 19 July, 2012 in homepage, Uncategorized and tagged Olympic tax-dodgers campaign. Bookmark the permalink.